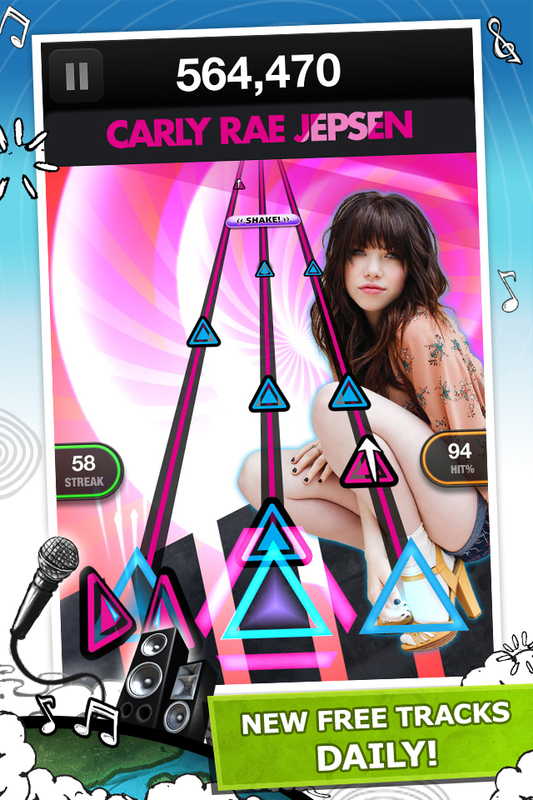 Play the AD-FREE version of Tap Tap Revenge Tour, the newest game from the creators of the #1 mobile music game. Plus start your world tour today with a BONUS of 50 picks and 20,000 notes! 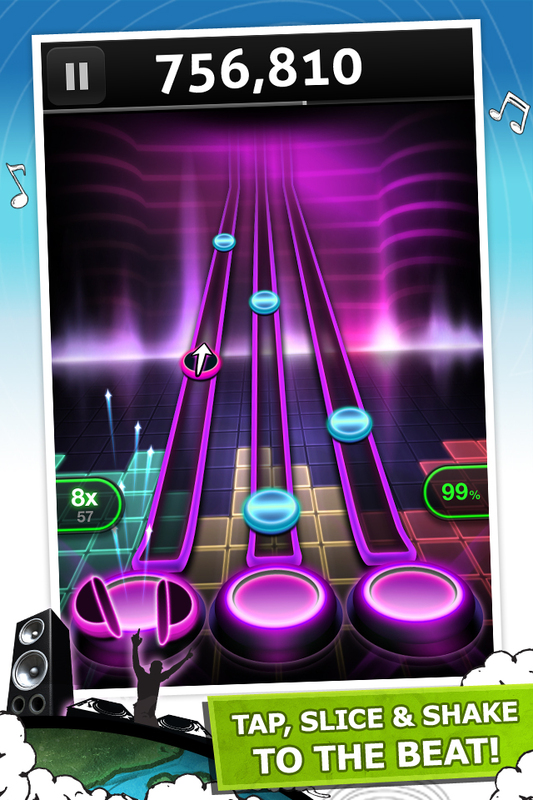 With MORE THAN 80 MILLION DOWNLOADS, Tap Tap Revenge combines your favorite tracks with fast-paced, rhythm-based gaming! In Tap Tap Revenge Tour, jet-set around the world as you ROCK OUT to the hottest artists todayincluding Rihanna, Katy Perry, Lady Gaga, Flo Rida, and more. ★ Great value! 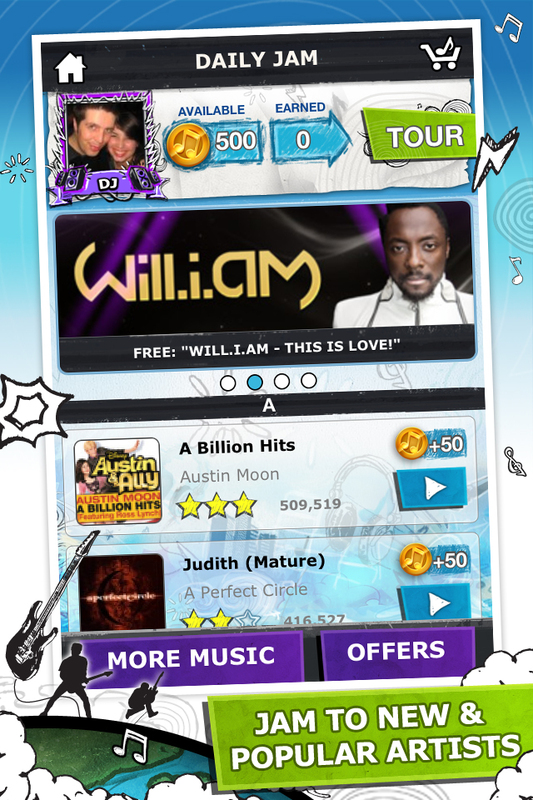 Includes a BONUS of 50 FREE picks and 20,000 notes toextend your Tour and spend on cool stuff! ★ If you upgrade from the free version, all your downloaded and purchased content will transfer over. 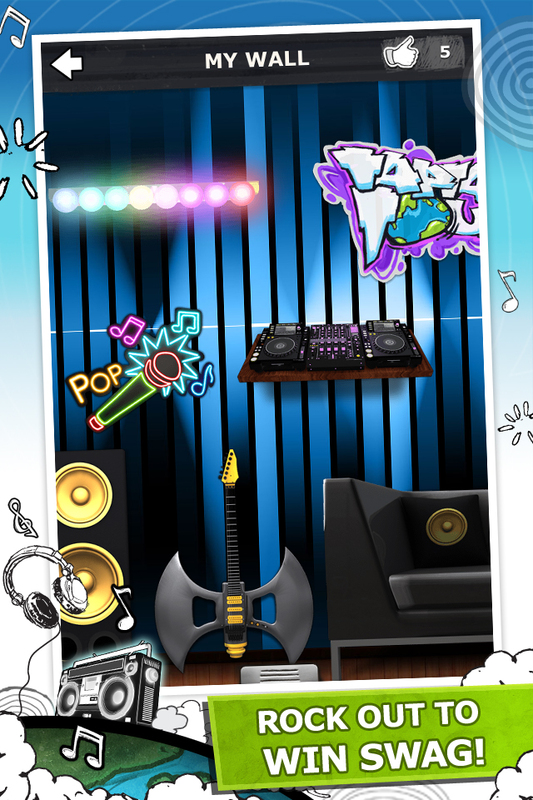 ★ ROCK OUT TO THE HOTTEST SONGS: Tap, slice, and shake to the beat as you play along to energetic, video-themed tracks. ★ NEW FREE TRACKS DAILY: With a library of over 300 free tracks, discover new artists, and jam to LMFAO, Selena Gomez, Avicii and more! ★ TOUR MODE: Travel around the world like a superstar! Play acts in a new city every day and unlock Encore sets to win Artist swag and achievements. ★ JAM MODE: Play ENDLESSLY as you prep for your rockin’ world tour. ★ PREMIUM TRACKS WITH YOUR FAVORITE ARTISTS: Shop for hits by Skrillex, Maroon 5, Carly Rae Jepsen, Lil Wayne, Drake, Nicki Minaj, Demi Lovato, Disney Channel Stars, and more! 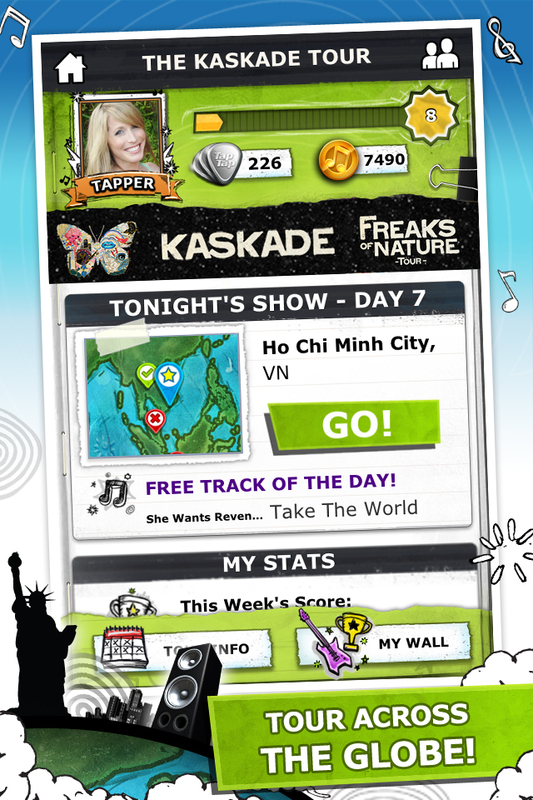 Join us on Facebook and Twitter for the scoop on new content and featured artists in Tap Tap Revenge Tour! More Games by Tapulous, Inc.